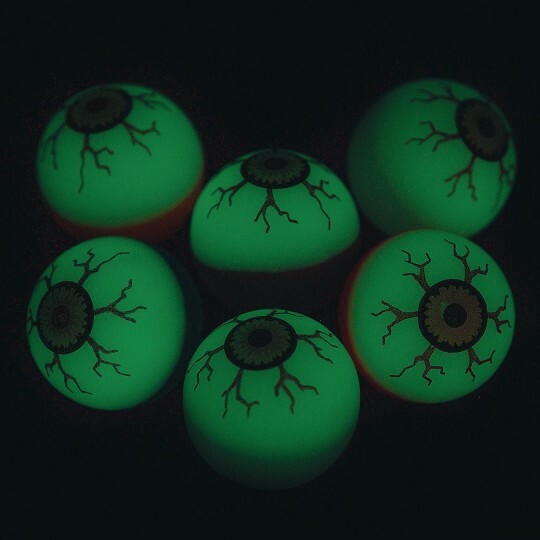 Creepy eyes glow in the dark! A creepy good party favor! Perfect for Halloween parties when scattered around as decorations—or use them as game prizes. They’re also a fun alternative to candy! Expose item to direct light to activate glow. 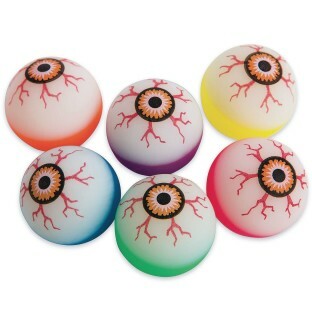 Each ball measures approximately 1-1/4” in diameter.